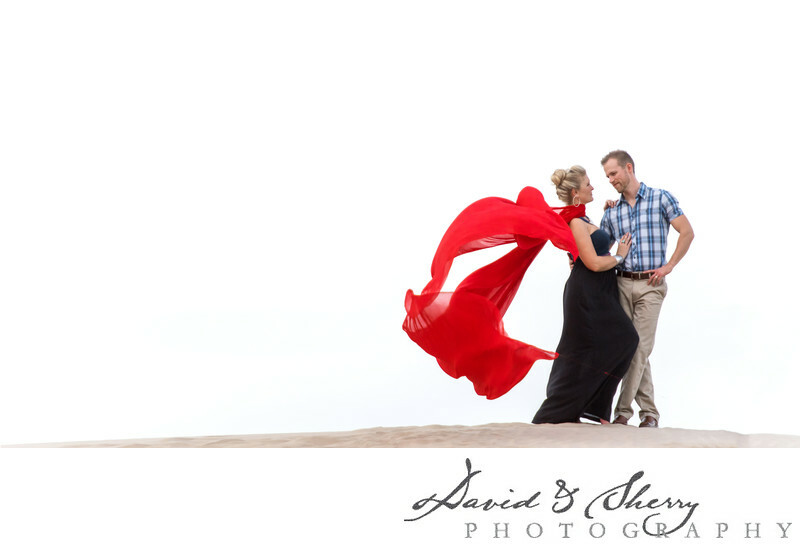 Taking destination pre-wedding engagement photos across Canada, North America, Europe and around the world is what David & Sherry specialize in. Our concept of the Couplescape is to capture gorgeous landscapes around the world and incorporate the fashion and style you find in the most iconic magazines to create a little bit of Vanity Fair meets National Geographic. Our use of taking beautiful nature landscapes and coupling that with our knowledge of lighting and posing allows us the freedom to create unique and interesting pictures for our clients all over the world. This picture was taken during a pre-wedding session in Death Valley National Park in California and as you look through our portfolio curated specifically for this purpose we showcase our ability to travel throughout the Canadian Rocky Mountains, National Parks, Yoho, Banff and the like right to the lakes of Muskoka and Tobermory, to the seaside villages of the Amalfi Coast. We will travel and trek anywhere we can in order to create something completely unique for you and the love of your life. We live in Canada and love all that this land has to offer. From coast to coast, sea to sea we will explore it all.